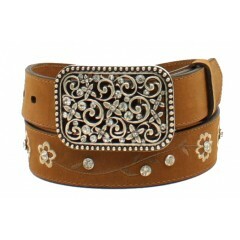 This Ariat belt by M&F Western is a simple girls belt with flowers embroidered and rhin.. 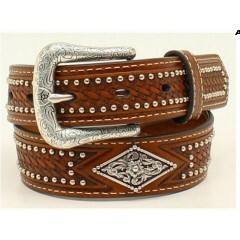 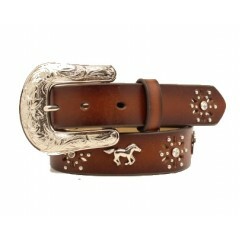 This Ariat belt by M&F Western adds a nice touch of style with the silver horse and horsesho.. 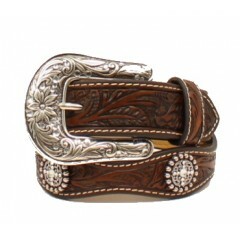 This Ariat belt by M&F Western adds a nice touch of style with the rhinestone accented conch..